Fresh into 2019 unexpected circumstances sort of forced us to clean out the spare bedroom, so at least one side of the room could once again function as a home office. The timing may seem almost trendy in the wake of tidy Marie Kondo followers, but in our household that's only a coincidence. Urgency aside, there has been a tiny bit of a positive ripple effect-- one such benefit that other areas of our home have been de-cluttered and cleaned out as well. Somewhere along the way in either a bag or drawer of cards, invitations, and photos-- (I have a paper saving problem but I'm getting better--) I came across an envelope from my late maternal grandmother. I eagerly reopened it and inside were pages from a newsletter. They didn't look familiar and I had no recollection of why she would have sent them to me. I skimmed it and saw "Fire Safety Program"... "Card Room"... "Meet Your Neighbors"... and then in bold "Gert and Fred Rosner". The next two and a half columns are a mini biography-- up to the last part of the newsletter boasting about The Atriums being the only condos in the town of Palm Beach to receive the prestigious landscaping recognition of a Certified Florida Yard... apparently awarded by the University of Florida and a Palm Beach County Co-op or something (in case you were wondering). I went back a page and read from the top. The editor begins, "Are you ever curious how your neighbors chose to live at the Atriums? That's the first question I asked the friendly couple who live at 4H South." According to the newsletter, in 1979 my grandparents had first lived at someplace called the Southgate. They no doubt traveled to Florida seasonally-- that was roughly six years ahead of the devastating house fire that would claim their Maywood Avenue residence in NJ-- the Victorian home that my mother and her three siblings grew up in, which my grandfather's physician practice was also attached to. Furthermore, they kept a NJ residence for many years after the fire when they moved into an apartment. Back then The (new) Atriums had model units-- the editor mentions my grandparents had been watching the progress of the building when they walked the beach each day. The article says, "After looking at the model bedroom in the North building Fred said, 'Gert you can't come in here, you won't come out!' And thus began life at the Atriums for Dr. and Mrs. Rosner." Some fifteen years later they became year-round residents in the South building. And it really was a beautiful master suite, by the way-- it was on the far end of the condo practically in its own wing. Next is when the editor gives a little more back story. She wrote, "I'm always curious about where people grew up and how they met. How does a girl from a farm in Queens meet a Brooklyn boy?" The article continues to say that when the war came Grandma Gert traveled with Poppy for a year and a half before he went overseas. His orders were to report to NOPE, Louisiana but he couldn't find the city on the map-- which turned out to be an acronym for the New Orleans Port of Embarkation. (That's life before computers & Google I guess.) So my grandma had to take a train with my then-infant Aunt to return to New York. There is a side mention of my grandma having made formula and sterilized the bottles, only to see the kind porter put the bottles on ice in a pail he had just used to wash the floors. But "she and her child survived". The editor quotes one of my grandparents, "We've had experiences people don't know." I can imagine. I also remember after Hayden was born, my grandmother saying in conversation that back then breastfeeding "wasn't in fashion". The article goes on to share that my grandparents eventually settled in Maywood, NJ where Poppy practiced general medicine until 1988. He was a 50+ year founding member of the Maywood Rotary Chapter, served as President, established the local blood bank, and received a medal for his distinguished service. After delivering his 1,000th baby (that I remember him telling me) he began reducing his hours until retiring permanently-- supposedly less than a decade before the newsletter was published. I can not recall for sure but that would mean he was still practicing up until my college years. Interesting! As anyone who knew my grandmother knows, the china painting continued. Grandpa converted part of the basement into a studio. The article says she would paint until 1 or 2 in the morning! Lastly, the editor mentions my grandparent's love of travel... listing some of their trips including the Orient, Australia, New Zealand, Africa, South America, Panama Canal, Cuba, Europe, Canada, Israel and Scandanavia... none of which (the editor notes) could surpass the enjoyment of Coney Island's famous Nathan's hot dogs. Just before the end of the column, the article mentions their first cruise was aboard the "France" ship to the Caribbean. Grandma Gert said it was "Glamorous" and Poppy said, "Fantastic." But they both agreed if they had to pin down to the very best trip, it was Alaska for their 60th Wedding Anniversary. With 19 of us-- including Dan (we were engaged in November 2001 and the cruise was in July of 2002). We actually bought our wedding bands on that trip, in Juneau. "What stands out the most is their strong family ties. Having raised four children they agree 'we enjoyed every bit of it.' As granddaughter Cara put it, 'It's not just your soup... your rugelach and stuffing are the best tastes in the world'." I do not remember saying that but I do not disagree! "Future plans?" the article concludes, "Maybe a river cruise, but right now 3400 is just fine." The editor quotes them, "We made it to the beach." I miss my grandparents all the time (all four of them). But the envelope was a wonderful little piece of history to stumble upon... and the timing noteworthy itself. Last month would have been Poppy's 102nd birthday, this month is the 14th anniversary of his passing, and next month would be Grandma's 98th They live on in our hearts and our homes-- particularly special that we all have some of Grandma's handpainted china pieces. And my guy of course, who shares a unique genetic link with Poppy. I will always be grateful at least my grandfather knew we had a baby on the way before he passed. I remember telling him the boy name and the girl name we chose, and he loved them both. But I feel luckiest that Hayden was the first to make Grandma a Great Grandma, that he did get to know her, and that he remembers GGG. They eventually relocated to Maine near my Aunt, and my Aunt and Uncle in Cumberland County. Now having read this newsletter, any time we take Hayden back up there and I see one of Grandma's handpainted plaques on the door of my uncle's beach cottage (approximately a 40-minute drive from their year-round home), I'll hear their voices in my mind. We made it to the beach. I've been saying Hayden is getting very good at showing fragile x just how strong he is, but also in our reality fragile x doesn't go away. I promised myself when I started sharing our journey that I would include some of the good, the bad, and even the scary. This past Sunday was one week from a most incredible day. We are also approximately one week from when Hayden's annual Giving page closes. As most know, this year our support for the NFXF is in honor of H becoming a Bar Mitzvah. While we have already met and even far surpassed our original goal, the page has no limit. I am certainly in the mindset of continuing to see just how far we can go! But we do not just choose to support the National Fragile X Foundation because of the fact that Hayden was born with fragile x syndrome. 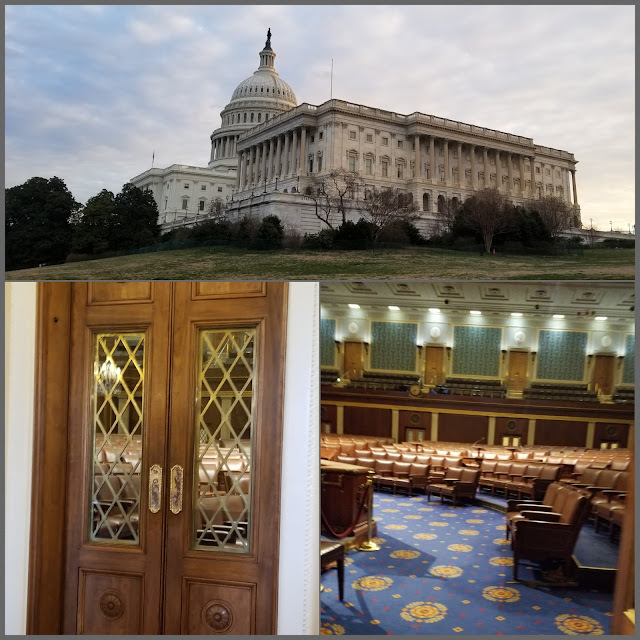 There is an important perspective I have been wanting to share ever since the NFXF International FX Conference in July, and it has to do with helping individuals with fragile x throughout their lifespan. At some point after lunch yesterday everything turned into a very fragile x sort of day-- didn't start out that way at all. I would loosely sum it up as mom-- and then later the respite helper-- receiving the brunt of the noncompliance, defiance, and overall state of hyperarousal. This is a real term used to describe when the central nervous system of an individual with fxs is in a temporary, heightened state of altered arousal. While Hayden is aware when this happens, he is struggling terribly to regulate himself. He is remorseful after-- from the hitting, cursing, throwing things-- and actually quite disappointed in himself. Thus turning an already difficult situation into something completely heartbreaking. How awful to witness your child going through that and also knowing, inevitably, there are other people in the world who will witness this too. It is one of the absolute worst feelings-- when you're at your lowest and it's essentially on display. And worse, leaves a window of vulnerability when others can completely misinterpret and misunderstand the context or the intent. For example Hayden feeling overwhelmed... wanting it to stop... someone wanting to help... Hayden not wanting the attention... his biology putting him into a state of fight or flight... having an impulsive reaction and grabbing an everyday object that happens to be on the counter because someone was using it... say for example that object is a regular knife like one you would find in any typical kitchen... and say for example he clumsily raises it, not pointing it at anyone or anything in particular, but in his state of fragile x hyperarousal he sprouts awful expletives (among other things that he doesn't mean)... followed by the nearest individual calmly backing off and firmly stating to put the object down. Hayden listens, is immediately apologetic, but also just scared the heck out of someone. Not to mention this eats him up inside and ruins the rest of the day for him. As a parent you thank the Lord the other individual has the knowledge to understand he never has intent to injure, while silently this unprecedented incident makes you feel like a piece of your heart just died inside. There are of course many parents in the fragile x community whose children are now grown adults. During a meeting before conference kickoff, one of these parents was reflecting on just how far the community has come. Especially with regard to conferences and having been there from the beginning, this particular parent was able to offer a perspective that not all of us were aware of. The room grew quiet for a few minutes as we listened to what it was really like so many decades ago... the optimism and hope surrounding the discovery of the single gene being responsible for fragile x. And with that, the families who were sure there would be development of a pill (for example) within five years from then... and fragile x would be no more. Ten years at most. One gene. I mean if the scientific community was able to identify this, surely the medical community could develop a treatment or probably even a cure. So they thought. And with that there were some who remained determined and focused and completely dedicated to generating enough resources for research. And helping to allow scientists to continue efforts towards appropriate treatments or perhaps even that cure. In addition, there were those who paused to realize something else. We still need to think about living in the now. How will families get through the day-to-day. How can we ensure that everyone has access to information-- the individuals, the caregivers, and anyone else involved in the life of a person who is affected by fragile x. The community needs education, awareness, advocacy... and yes, research too. Seize the day as well as the future-- always think forward without forgetting about today. So if I don't share the good, the bad, and the scary in the now... then what happens when I'm not here to share it. I want as much of our perspective to come from us before it can come from someone else. We will always need experts and resources-- such as those available within the NFXF-- because some of the needs of individuals will continue to change throughout their lifespan. The good news is we will always be able to continue to learn. Amaaazing what our loved ones can accomplish when we know how to help them succeed. A week and a half ago was just one example of that. So is it better that we have a cure for fragile x? Yes. But it is best that we know what to do until then. For approximately thirty five years now the National Fragile X Foundation has been like a lighthouse for the community of people affected by fragile x, around the world. We are grateful they continue to help Hayden forward. The very best part of this journey is that Hayden (quite appropriately) is so proud of himself. I can barely articulate how meaningful that is for us. 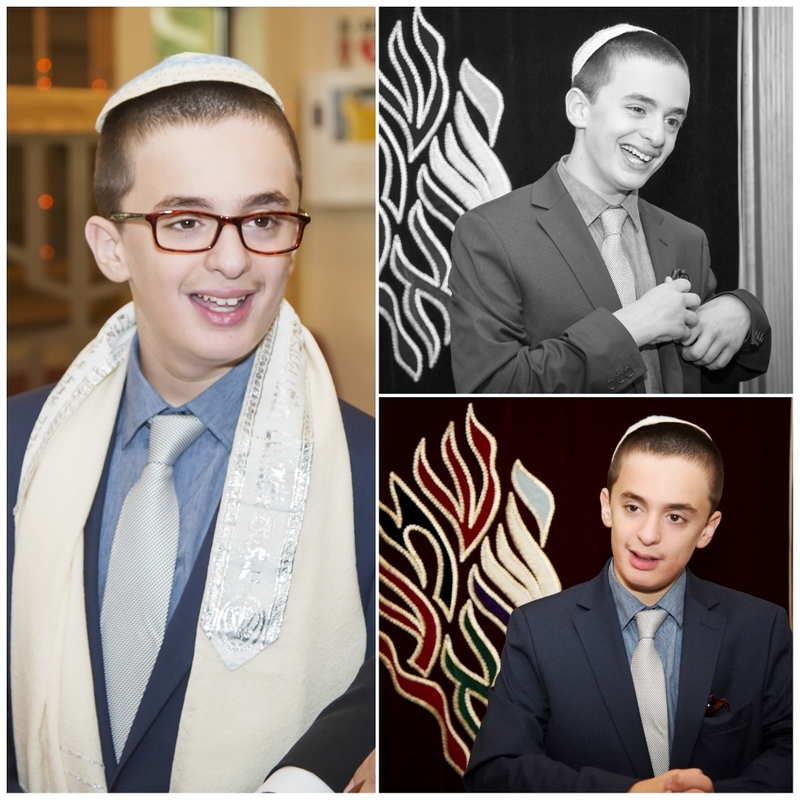 On the morning of Sunday, August 12th in a beautifully modest service with a minimum number of family and congregation members present, Herschel Zemel was called to the torah as a Bar Mitzvah. When we had the opportunity to say a few words I didn't want to overwhelm Hayden or make him feel uncomfortable, as being put on the spot. So I will say it here instead. Sunday was all about him but it was also one of the best days of my life. While we are beyond blessed that over the years many people have made some pretty amazing things happen for Hayden, this wasn't someone else's doing. He had to commit to weekly lessons with the Rabbi-- albeit extremely modified-- but he still followed through. No one gave him an honor out of the kindness of their heart. This was earned. Our guy who was gorgeous from the start, and had an alertness in his eyes that couldn't be ignored... who grew into toddlerhood with blond curls, a gigantic smile, and most contagious belly-laugh... had no idea he had fragile x syndrome. We of course found out when Hayden was seventeen months (almost to the day), but at the time it was nothing more than a diagnosis. More accurately, a name for why he was first sitting up when most babies crawl... and it was the name for why he only started crawling when most babies are confident walkers... and it was also the name for why he didn't become a confident walker until the age that most toddlers are already beginning toileting. But what the doctors and specialists labeled as global developmental delay due to a genetic disorder, we learned to label as Hayden doing everything when he is ready, and not before. The verbal communication is what we longed for the most. 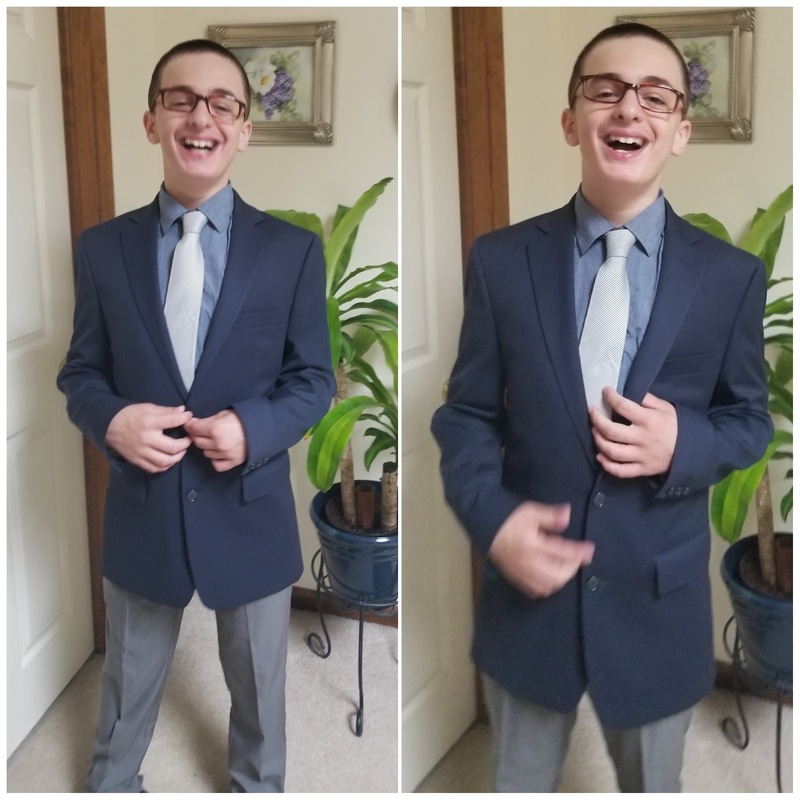 We felt that he would eventually speak because he was quite engaging from the start-- he laughed when it was appropriate, cried when it was appropriate, and overall seemed just as in-tune to the world around him as he was to anyone right in front of him. Still his first few birthdays came and went and he did not yet have speech. He had Early Intervention (EI), plus private therapies, and then aged out of EI and started preschool. Still a couple more birthdays passed and very little speech-- barely a handful of words. And then the summer he turned five, within a couple months after his birthday, new words almost suddenly emerged. When he returned to school in September his teacher called it a language explosion. You see... everything when he is ready and not before. This is also what I told myself upon thinking about him becoming a Bar Mitzvah... but in my heart I did hope it could happen during the Jewish calendar year of his thirteenth birthday. About a week after Hayden's birthday when I first blogged about the big news, I said my simple hope is that when the official day comes Hayden will at least be at ease enough to follow through. 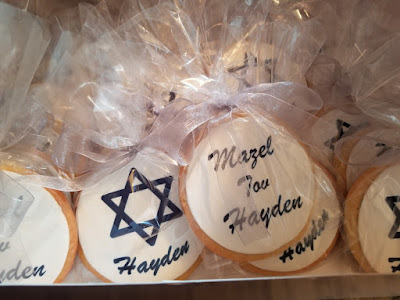 What I can tell you now is that after the service on Sunday both the Rabbi and his brother (also a Rabbi) noted Hayden did so well, that it could not have gone any better. And the fact that Hayden actually repeated part of the blessings as the Rabbi recited them... well... that is right up there with the summer when he turned five. Following the service we enjoyed a small kiddish at the shul and then went to a nearby restaurant to continue the celebration with Hayden's grandparents, aunts, uncles and cousins. Professional photos and video will be forthcoming. In the interim, I invite you to enjoy this very brief but amazingly incredible playlist of some highlights that I captured. Last but certainly not least Hayden's annual support page for the NFXF-- which this year is also his Bar Mitzvah project-- will remain open for a couple more weeks. To say we are honored by everyone's generosity is a significant understatement, as the current amount has already exceeded our original goal by more than triple! This is only further testament to how much everyone believes in and supports Hayden, and truly our gratitude is immeasurable. Extra special thank you to Grandma Suzi and Pop Z for the beautiful kiddish and to both the Rabbi and my parents, for the heartwarming surprise of Hayden's very own tefillin and embroidered bag. And the brand new siddur (prayer book) inscribed with dedication to Hayden, from the Rabbi and the Chabad. I know I already said last but not least but I guess I lied, because I actually want to add an open thank you to the Rabbi. Dan and I could not possibly be more grateful for his patience and understanding with Hayden. I always say there may be a lot of good people in this world, and a lot of really good teachers, but it doesn't mean they're great with Hayden. We are blessed to know him and feel simply impressed how well they worked together, especially within a relatively short amount of time. Our hearts are full and we look forward to Hayden's next blessing, in whatever capacity that may be. But we know there will be more, when he's ready and not before.